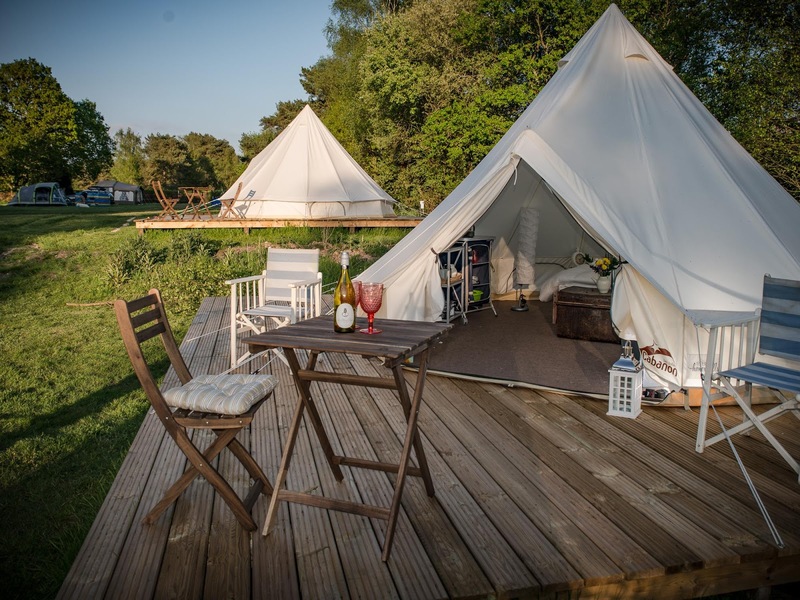 If you want to bring your dog we have a wooden pod called Kingfisher that has heating, lighting and power but is empty, just bring your camping gear. 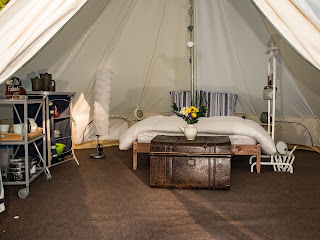 For those looking for a more traditional camping experience we have our other two bell tents - Foxglove and Rabbit. They are erected and placed on decking in our woodland camping area, Emma’s Glade. Back of Beyond is set in 30 acres of Dorset countryside. However we have just 80 pitches in all this space and we operate a just for adults country park to allow our guests to relax, free from disturbance, and to facilitate the development of our ‘quality-of-life ‘philosophy for the park.